﻿﻿﻿Dues to join KBEA are . . .
$20 for Student Members - Undergraduate and graduate business education students enrolled in private and public institutions of higher learning in Kentucky may be student members. Student members have all the rights and privileges of active members. ​We now have 2 methods by which you can pay your dues. Pay by Check or Pay Online. If you Pay by Check, choose the button below "Pay By Check" to download the Membership Registration Form and mail the form along with payment to the address located on the form. If you Pay Online, choose the button below "Pay Online" to be redirected to complete the Membership Registration Form digitally, and then complete payment using the Square Store. 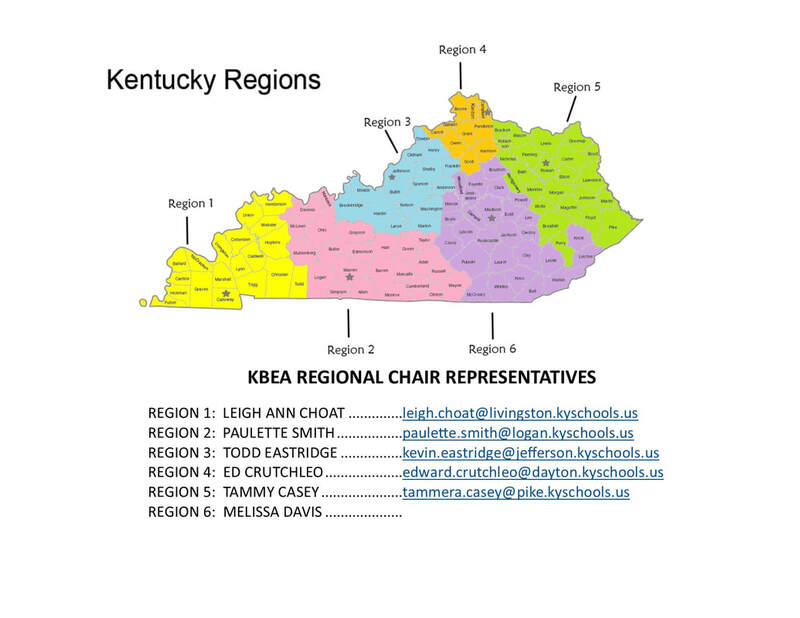 If you are not sure which FBLA region you are in, view the PDF map below of the FBLA Regions and a listing of the regional membership representatives.